It’s that time of the week again. Time to check out what we’ve been up to. I think it will come as no surprise that I will be talking about Sea of Thieves this week. Sea of Thieves has released to a very mixed bag with some people comparing it to No Man’s Sky and calling it a disaster and others feeling a lot more positive about it. I’m in the more positive camp, but I realise that there is a lack of content in the game. However I feel like the players in Sea of Thieves will also make content for each other as you have a lot of unique interactions and organic moment to moment action. I also knew exactly what I was getting it to with Sea of Thieves, everything in it is pretty much what I expected. I’m playing Sea of Thieves using the Xbox game pass and I have to say that it seems to be a bit of a triumph. All of my friends have done the same thing – one of which has been playing on Xbox One, whilst all the rest are on PC. The cross play is seamless and we don’t even notice it – I’d completely forgot my friend was even on Xbox until he’d mention something about controls. I’ve now spent time playing solo, as a two man crew and on the Galleon with a full crew. Personally I think the two man crew on a sloop is the easiest to manage, the boat is small and easy to get around and you can easily coordinate between each other on what you’re doing. When you’re on the Galleon things can get a little hectic at times, although I think it would smooth out once we’ve played more. But if you lose a man or two then you can quickly become overwhelmed by the amount of things to look after – especially if you’re in a fight at the time. However, it’s still a very fun experience no matter what. Sea of Thieves has already provided me some of the most entertaining gameplay moment I’ve had in a long time. I’m working on a proper piece going in to more detail on my thoughts on the game, so for now I will leave you with my latest adventures from my YouTube channel – it’s a two parter and its got lots of epic fun! Late last year I finally got a hold of my copy of Gloomhaven – I’d been waiting for most of the year for the kickstarter to roll out. Since then I’ve managed a few play sessions on it and had another one over the weekend. I was playing with a couple of friends who had never played it before so I had to teach them from scratch how to play as we set up a new campaign. I’m already running one campaign with a group, so I was feeling a little wary of starting another simply because there is so much going on and keeping track of two groups could be tricky. But actually it’s pretty easy to have two groups running. Every player has their own character sheet and also have a party sheet to keep track of each groups movements. There is a hell of a lot to remember when playing Gloomhaven and this was very much highlighted when starting with a new group as it probably took about an hour to get setup, explain the rules and get through our first turn. I always find it much easier to teach people games whilst playing them rather than try to explain beforehand and I felt that really worked with Gloomhaven – although I’m still learning myself as I had to keep referring back to the rule book to check certain details. Once you get through the first learning curves it’s easy to see why Gloomhaven is loved so much. For me the combat is just so satisfying, sure it can be very punishing too, but when you manage to pull off that audacious move you’ve been wanting to do for a while it feels great. 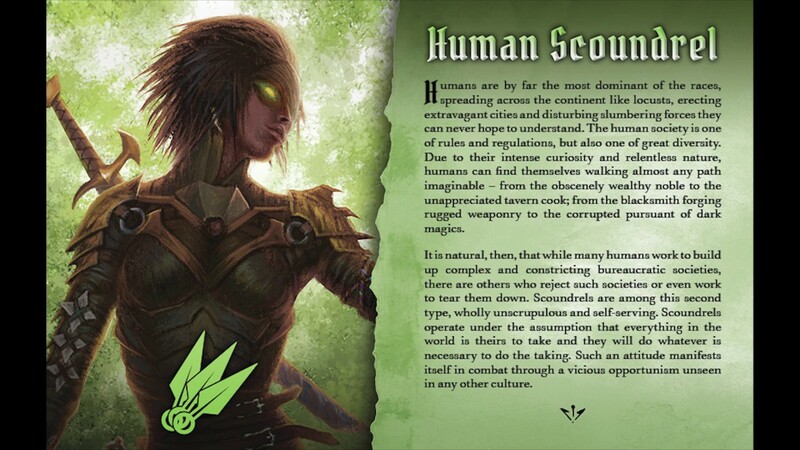 I started my new campaign playing the Scoundrel and she seems really fun to play, she’s very mobile and has some really cool attacks and abilities to make use of. We failed our first attempt after a rushed a room and didn’t manage to sweep up the kills that I wanted to, which resulted in me dying. But they do say go big or go home.